A little more hydration lets you have a little more fun. From mountain trailheads to morning yoga practice, the 24 oz. Standard Mouth bottle is just the right size for staying hydrated before, during, and after activity. Hydro Flask’s largest Standard Mouth available uses TempShield™ double-wall vacuum insulation to keep your water refreshingly ice cold for up to 24 hours. Plus, it resists condensation, so the sides of your bottle stay dry. TempShield™ insulation eliminates condensation and keeps beverages cold up to 24 hours and hot up to 12 hours. Hydro Flask’s unique double-wall vacuum insulation protects temperature for hours. Cold drinks stay icy cold and hot drinks stay piping hot, so you can stay refreshed for any adventure. Durable 18/8 Pro-Grade Stainless Steel construction: Made with 18/8 pro-grade stainless steel to ensure pure taste and no flavor transfer—and the durable construction stands up to whatever life brings. 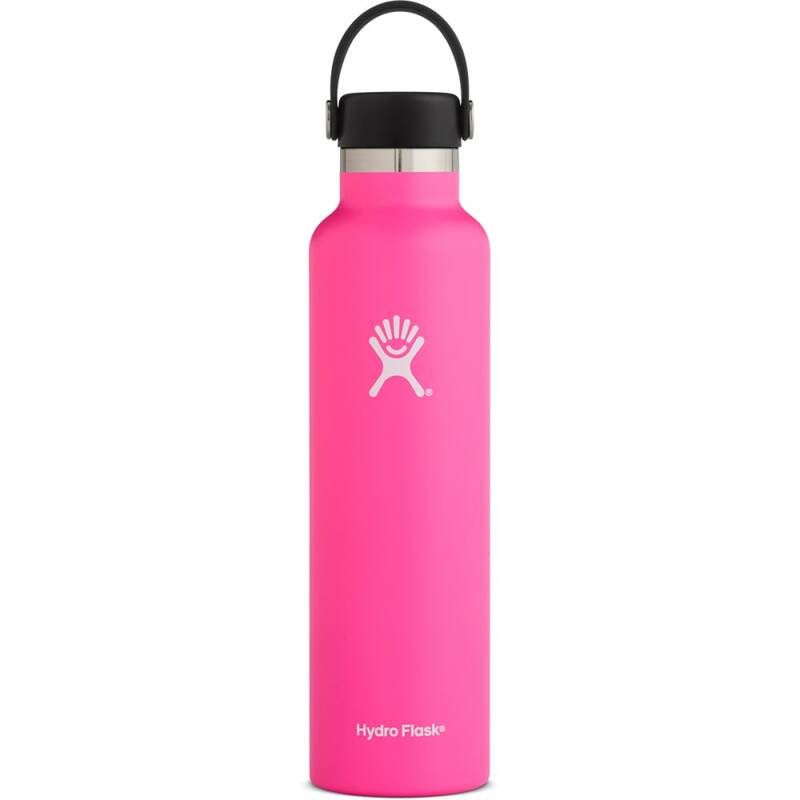 Hydro Flask’s proprietary powder coat means an easy-grip, sweat-free, and extra-durable bottle that you can take anywhere. Volume (fluid ounces): 24 oz.